The Sephora shopping experience has undergone a shift (to our personal delight) and has quietly become the beauty world’s version of the Target black hole. We called it a sense of Sephora euphoria: You can easily rack up a bill without even realizing it, getting lost in the busy aisles, and end up with way more than you initially intended to buy. So we chatted with Sephora Beauty Directors Jeffrey English and David Razzano to find out how to hack everyone’s go-to beauty emporium without cleaning out your wallet. This is the ultimate guide for how to shop at Sephora: With so many excellent products, clean beauty offerings, and free services, it’s easy enough to spend an entire day here. But with buying limitations (only available in store versus online) and discount opportunities that are under the radar, it can get overwhelming. We’re here to help. The first step to getting more for your money at Sephora is to join the Beauty Insider program. It offers tons of benefits. “Beauty Insiders receive discount days, free in-store classes, trial size products, as well as access to the exclusive online ‘community’ where they can talk beauty with other beauty lovers,” Razzano notes. All Beauty Insider members get a gratis birthday gift during the month of their birthday. To find out the gift options for your month, simply visit the Beauty Insider benefits page. A few notes: the gift options vary by status, and VIB and Rouge members are eligible to choose between a birthday gift or 250 points, and no purchase is necessary when you redeem your gift in store. To redeem online, a minimum merchandise purchase is required, and the gift will be available at checkout. Beauty on a budget is easy to achieve at Sephora, but you have to have a keep a clear number of what you are willing to spend each time you enter the store, English says. “There’s inevitably going to be a lot of distractions and products that are going to catch your eye, so having that dollar amount fixed in your head early on will really help decide between what you want versus what you need,” he explains. This way you won’t be swayed (as much, anyway) from the inherent kid-in-a-candy-store aspect of the whole enterprise. “If you’re just browsing and don’t really have a plan, start with things you need to refill, that’s a great jumping-off point,” he says. Being aware of limited-edition products and holiday sets can save you a lot of money. “These are gold mines,” Razzano says. He always has his eye out for limited-edition beauty, especially palettes. “Whether it’s an incredible eye or face palette, these limited-edition treasures are always beautifully crafted and great in value,” he explains. Holiday time brings about the supernova of incredible limited-edition value sets, so stock up, Razzano says. These hit shelves in October, so keep an eye out on your next shopping trip. English says one great way to save is Sephora Collection, the beauty behemoth’s house brand of makeup, skincare, and tools. “The brand that combines exceptional quality product at a great price point,” he says. “I have even found some of their products to be less expensive, but better quality than those at the drugstore.” All of Sephora Collection products are super approachable, and with a tagline of “Beauty Uncomplicated,” fashion and function can finally live in harmony at a price that can’t be beat, he explains. Some of our picks include Sephora Collection’s pigmented eye shadows, sheet masks in a variety of formulas to suit different skincare needs, and these bracelet-like beaded hair ties. The latter jazzes up your ensemble far more than your tattered hair tie that’s currently hanging out on your wrist. Another favorite? The $14 Sephora Collection Bright Future Gel Serum Concealer, which is available in a wide range of shades and treats parched under eye skin as it camouflages dark circles. Last, the beauty tools are high quality and are well priced. The blow dryer features ionic technology, while the tweezers and makeup brushes make inexpensive yet useful additions to your arsenal. With a minimum purchase of $50 you can receive a custom makeover, that’s likely what you’d already be spending when you are repurchasing your foundation and concealer, Razzano says. “Then, you can enjoy the makeover for a night out, a special event, or even to just try out some new products and learn how to apply them,” he adds. Mini makeovers focus on a single feature and are offered for Smoky Eye, Contour & Highlighting, Polished Brows, Perfect Lips, False Lash Application, and much more. Treat yourself to a glam moment, simply by picking up your favorites in-store. Skincare lovers can try a free Mini Facial. That’s a spa-grade facial, while you restock your daily skincare products. “Everyone should be taking advantage of this,” Razzano says. These facials last about 15 minutes and are conducted by a Sephora Beauty Advisor who is a skincare specialist. Your advisor will begin by asking you about your skin type and any skin concerns you have, then will personalize the facial to address your needs. Choose from a “mask and moisturizer” or “anti-aging peel treatment” to suit your skin. Note however, that the skincare specialists are typically pretty flexible and are usually willing to deviate from the program at your request. The skincare specialist will also email you a list of all of the products used on you throughout the facial. Pro tip: Ask the employee to recommend other products for you (that perhaps were not used in the facial), and they can include those recommendations in the email as well. Sephora also offers Beauty Classes that range from 45-90 minutes and are run by Beauty Advisors to help you learn a specific skill. In each class, an expert will apply a look step-by-step on a model for the first half of the class, while you watch and take notes on an instruction sheet they have given you. In the second half of the class, you apply the skills you have learned and perform the techniques on yourself. Check out the other classes Sephora offers, like the Contour & Highlight, Skincare Solutions, Winged Eyeliner, and Perfect Lips. They also recently added a Fenty Beauty Foundation course. In each of Sephora’s classes, Beauty Advisors provide class participants with samples of the product recommendations to use on themselves during the class. You can also ask Beauty Advisors for complimentary samples of any products you’re interested in trying at home, however, there aren’t any freebies specific to the classes that are given out. Sephora offers another series called “Classes for Confidence.” One example is “Brave Beauty In The Face Of Cancer”, a 90-minute class that teaches “techniques to and products that address the visible effects of cancer treatments.” For people who identify as transgender or non-binary, Sephora offers “Bold Beauty For The Transgender Community.” This 90-minute class, taught by trans-sensitive instructors, features products, techniques, and skincare recommendations designed to help empower trans and non-binary people. 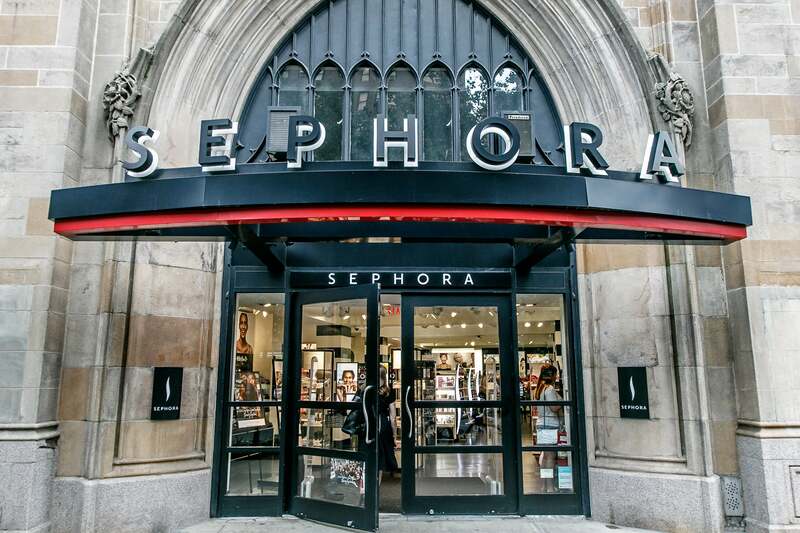 Make a reservation for a Sephora beauty service here or sign up for a beauty class here. Fragrance tends to be the most intimidating area of beauty for the uninitiated. To find your new signature scent, meet with a Beauty Advisor in the fragrance department and describe what types of scents suit your fancy. The advisor will then let you smell several different scents to help you discover one you’ll love. You can also take home samples of the scents you like most. Find like-minded beauty buffs! In your quest for perfect skin, there are a bevy of beauty groups you can join on Facebook but why not look to Sephora? Sephora’s Community section offers tons of groups for you to join to chat about all things makeup, skincare, and hair. Choose from Skincare Aware, Everything Eyes, Lip Lovers, Best Hair Ever, and many more for hacks and product recommendations.